Futurism fights fatalities: drug-bundled nano-particles can seek and destroy blood clots. According to thelatestnews.com, in a recent study funded by the National Heart Foundation of Australia, researchers from Baker IDI Heart and the University of Melbourne were able to create a combination of chemicals and a delivery nano-capsule to treat blood clots immediately and sans surgery. Blood clots can be extremely dangerous due to the threat of re-triggering heart attacks or strokes, and can escalate a patient's danger if an inability to operate is present due to risk of internal bleeding (a problem which affects up to half of clot sufferers.) However, the new nano-device could be administered intravenously, with little or no medical training necessary. "I SAID IT'S COOL. I GOT THIS." The device works by filling a nano-capsule with a clot-destroying compound. The nano-capsule's exterior harbors an antibody that viciously targets platelets, the cells that are the main creator of clots. Once the nano-particle arrives at a clot, thrombin (a molecule crucial to the unclotting process) breaks through the nano-capsule's shell. 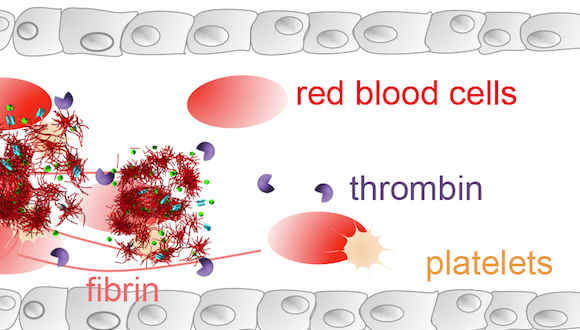 The thrombin breakthrough releases an anti-clotting compound contained in the center of the nano-capsule, which goes to work, demolishing the undesired clot coagulation. 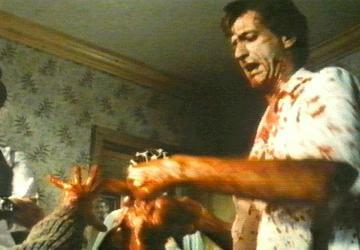 Bustin' moves to bust clots: nanotech + chemicals = lives saved. "We are effectively hijacking the blood clotting system to initiate the removal of the blockage in the blood vessel,” Professor Hagemeyer told the Melbourne Newsroom. Hagemeyer and his team, who have been testing the nano-particles for five years now, stated, “The drug is an approved drug which we encapsulate in the nano-capsule and the nano-capsule, you have to imagine, is like an onion with different layers.” When each layer functions properly, the clot is dissolved harmlessly, and with no need for extensive, possibly dangerous surgery. Animal tests thus far have been effective, and the nano-capsule system is expected to be approved for human use within the next five years. The nanoparticles won't let your blood cells gang up on you.